Professor Cai who publicly called for cancellation of the so-called Golden Week (week-long public holidays) in China found himself defamed and cursed by a large number of people on a BBS named after him. The furious Professor sued the BBS service provider, Baidu (one of the largest Internet company in China), for defamation. The first-instance court recently rendered the decision that Baidu was not the direct tortfeasor, neither did it knowing providing service to defame Prof. Cai. The court noted that Baidu’s act of taking timely measures to prevent the further spread of defamatory information after receiving valid notification from Prof. Cai was capable of proving its innocent. Interestingly, the court dismissed Prof. Cai’s claim for deleting the relevant BBS in the same name as him, because name of the BBS, per se, was not infringing and the people had the right to make comments on public issues or figures. However, the court ruled that Baidu must, within the capable of network technology, assume the obligation of a honest manage to identify its subscribers who had posted the defamatory information. Prof. Cai’s agent declared to appeal against the decision. The decision rings the alarm for Internet users. With the implementation of the Tort Liability Law, netizens are exposed to more liabilities for infringement against civil rights. Previously, they were only subject to copyright enforcement. Now they must watch out any other rights, such as rights for reputation, honor, portraits and names. A service provider’s obligation to disclose users’ identities would have serious impact on privacy. In the above-mentioned case, the court demanded Baidu to identify all the persons who had cursed, insulted or verbally threatened Prof. Cai. However, how would Baidu judge if a post is insulting, defamatory or threatening? What if Baidu makes arbitrary judgment and unreasonably disclose some users’ personal information to Prof. Cai? 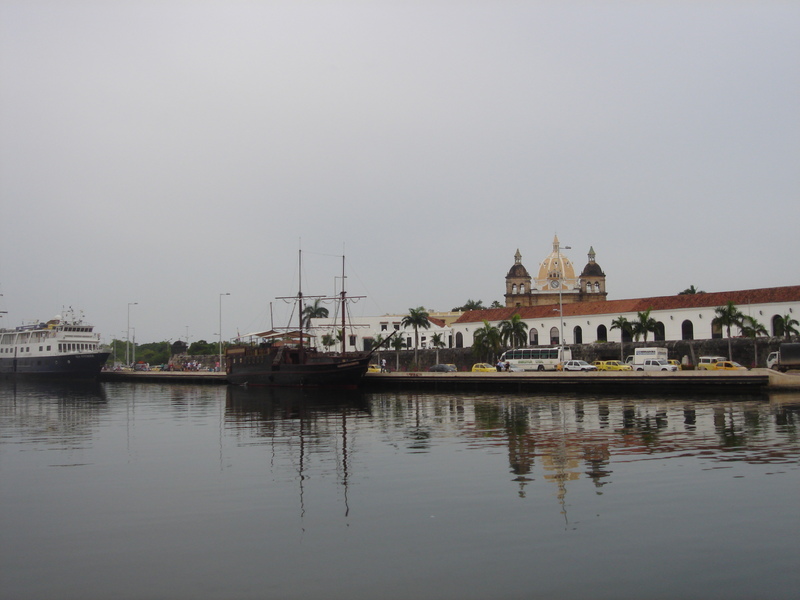 ICANN’s year-end annual meeting is happening at Cartagena de Indias, Colombia, December 5-10. This is one of 3 ICANN global meetings held yearly. 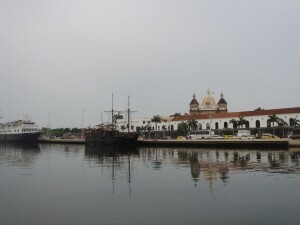 Cartagena must be a nice city. I can see the Walled Old Town with Towers, Churches and cannons on the Wall, which is opposite to the Convention Center. But apart from enjoying the sunshine of Caribbean Sea at the breaks, I have been at the conferences or en route to the conference. Although there were less than 30 participants in the plenary room, the session brought up interesting information. At the end of the presentation, there were questions raised on the Internet referred to .бг (applied Bulgaria IDN ccTLD string) case. The staff restated that they were not supposed to comment on any specific case. I then asked a procedural question. Although the String evaluation done by DNS stability panel (according to their guidelines) is a technical decision, it is a decision made on behalf of ICANN and has (significant) policy implication. If such technical determination is not subject to reconsideration or independent review, wouldn’t it be an accountability issue, as highlighted by ICANN at the opening ceremony? To my *rough* memory, both replied that fast track process should be sufficiently simply, without objection or re-evaluation. And, surprisingly both ICANN staff replied that anyone would be available to reconsideration or review. I assume I heard their reply clearly. The audio record at the link is broken unfortunately. The fast track process was built limited in nature and for those applications where there is no concerns or no disputes of any kind. I also said I believe this is an appropriate approach for the initial IDN TLD delegations. It does however not mean that things should be more liberal in the future, but it is always easier to expand a program than to narrow it after the fact. Anyone at ICANN who are unhappy about a decision and not able to solve this with staff, can always go to the Ombudsman or seek reconsideration through the process for such. For details about these general processes, which are non-dependant on the fast track process, but part of ICANNs Accountability and Review Processes, please see the link. The case reveals the ICANN’s matrix of Ombudsman, reconsideration, independent review or other “accountability mechanisms” (if any). There are built-in appeal systems for a specific program and there are others generally applied.